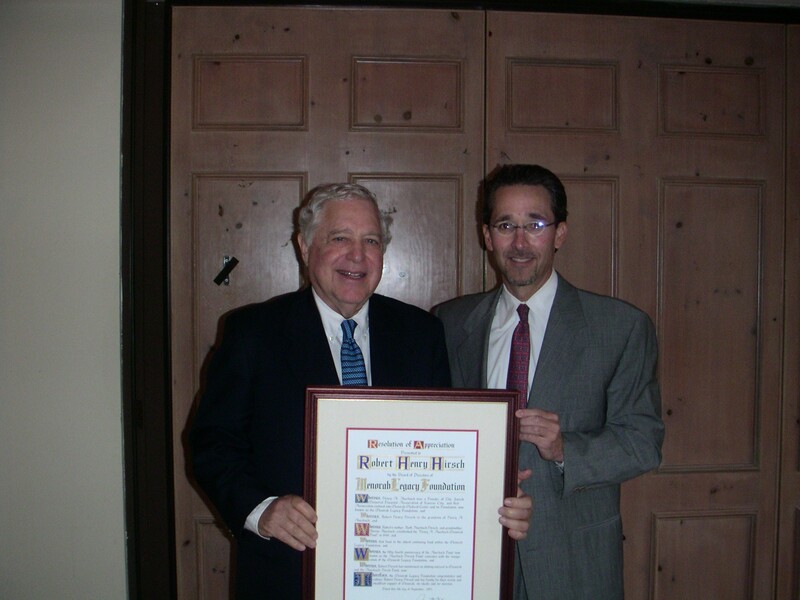 Jim Klein, President of the Menorah Legacy Foundation, presents a Resolution of Appreciation to Robert H. Hirsch, Trustee of the Auerbach Hirsch Memorial Fund on September 11, 2003. The original gift was $6,000 in Commerce Bankshares given to the Jewish Memorial Hospital, Menorah Medical Center’s predecessor. The income from the fund was to be used to support the health care needs of indigent children. In 1968, Mrs. Hirsch established the “Auerbach-Deutsch Memorial Fund for Indigent Children.” In 1985, at the request of Mrs. Hirsch’s daughter, Rosine Hirsch Helzberg, the two funds were combined into the “Auerbach-Hirsch Fund” and broadened to include all indigent patients. Henry’s dedication to his community was passed on to his children and grandchildren. His daughter Ruth’s husband Clarence served on the first board of directors. 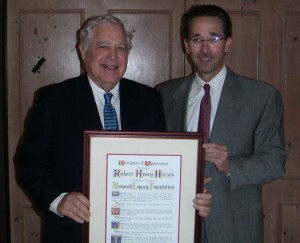 His grandson Robert Hirsch oversaw the investment and allocations of the Auerbach Hirsch Fund. His granddaughter Rosine Helzberg was an active member of the Menorah Women’s Auxiliary and her husband James was on staff at Menorah. His great grandchildren Susan Helzberg Sloman and Dr. John Helzberg, children of Rosine and James, currently oversee the allocations of the Auerbach Hirsch Fund. Susan and John have shared this history with their children and expect that they will assume the responsibility for the Fund in the future. 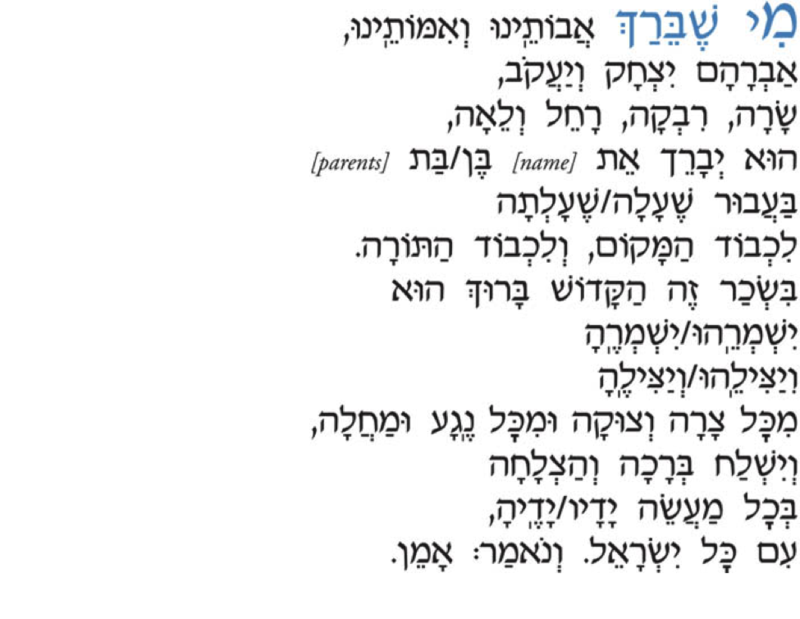 Mi Shebeirach avoteinu v’imoteinu,Avraham, Yitzchak v’Yaakov, Sarah, Rivkah,Rachel v’Lei-ah, hu y’vareich et hacholim[names]. 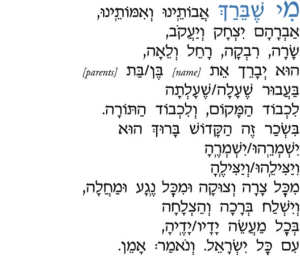 HaKadosh Baruch Hu yimaleirachamim aleihem, l’hachalimam ul’rapotamul’hachazikam, v’yishlach lahem m’heirahr’fuah, r’fuah shleimah min hashamayim,r’fuat hanefesh ur’fuat haguf, hashtabaagala uviz’man kariv. V’nomar: Amen. Current Projects: Support care for indigent residents at Village Shalom and patients at Saint Luke’s Hospital. Trustees: John Helzberg, MD and Susan Helzberg Sloman, Katherine Sloman Herrick, James Henry Helzberg, Jamie Ruth Sloman and Elizabeth Morgan Helzberg.